Cork Folk Festival fully respects your right to privacy, and will not collect any personal data about you on this website without your clear knowledge and permission. 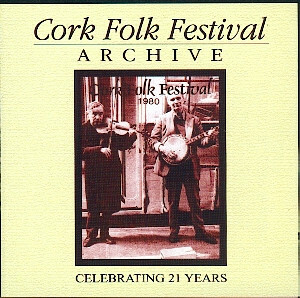 Any personal data which you volunteer to Cork Folk Festival will be treated strictly in accordance with the Data Protection Acts, 1988 and 2003. While you can use our website without giving out your personal information, once you contact us via an email link or form, the information you fill in (personal information such as your name, email address, phone number) will be processed and stored so that it is possible for us to contact and respond to your queries. Personal data collected and stored at Cork Folk Festival is retained for no longer than necessary for the purpose for which it is acquired. We recognise that personal data may not be retained indefinitely. Personal and personal sensitive data is safely stored and retained in compliance with GDPR requirements and processing is limited. If you wish to delete your data from any of our systems, please email infocorkfolk@gmail.com and we will do so immediately.